"Why do we care about the history of cigars and cigar making? Because the smoking of a fine cigar is a time for contemplation, relaxation, and appreciation of the unique attributes of each cigar. Knowing about the history and the craft of cigar making enhances this experience and makes each new smoke even more memorable." 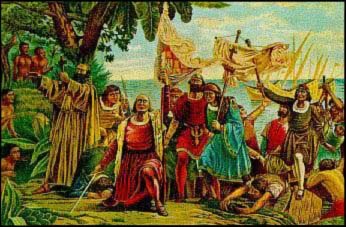 When Christopher Columbus sailed off on his mission to find a western route to Asia in1492 he discovered a new land, but perhaps his most important discovery was tobacco. Columbus observed the native Arawaks smoking a substance through a tube called "tobago" , hence the name tobacco. Columbus called this new land "Hispanola" We now know it as the Dominican Republic, a place where many fine premium cigars are made. This practice of smoking tobacco goes back as far as the ancient Mayan culture. The native North Americans used tobacco in ceremonies and for medicinal purposes, of course today Cigar smokers still use it for such purposes. Tobacco reached Spain in1556, and soon after France and the rest of Europe. Sir Francis Drake introduced pipe smoking to Elizabethian age of England and by the 17th century the use of tobacco was pretty much world wide. The new Americans in the Jamestown Colony were quick to adopt tobacco as their principle cash crop. Tobacco growing spread not only in America but all over the world and is now grown in about 120 different countries. The best however is still grown in the same region where that great entrepreneurial discoverer Christopher Columbus found it.